The police have arrested two men from Prospect Park for allegedly killing a man and throwing his body into the Passaic River at Westside Park in Paterson, according to the Passaic County Prosecutor’s Office. 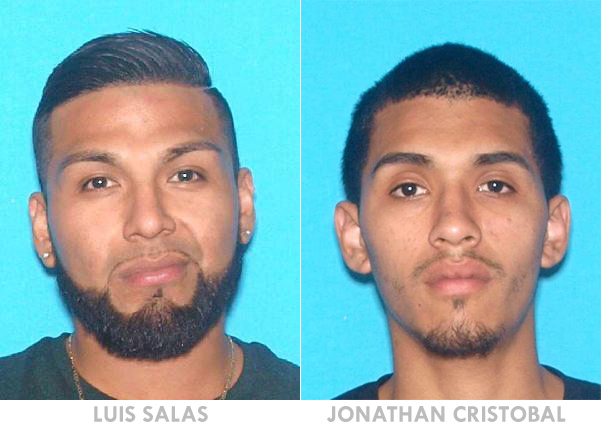 Luis Salas, 27, and Jonathan Cristobal, 23, were apprehended on Friday night. Both men have been charged with first-degree murder and conspiracy to commit murder, authorities said. Both men are accused of killing 26-year-old Jorge Alfaro-Alcalde of Prospect Park. His decomposing body was pulled out of the Passaic River on May 1. His body was identified following an autopsy, authorities said. Alfaro-Alcalde was reported missing by his family on April 1, 2018, authorities said. Detectives have determined Alfaro-Alcalde went to Westside Park with his friends. There, Salas and Cristobal, appeared at the scene to confront him. Upon locating their alleged target, Salas and Cristobal assaulted Alfaro-Alcalde and then threw his body into the river. Both men are scheduled to appear before a judge at the Passaic County Courthouse on Saturday at 1:30 p.m. Prosecutors will file a motion for pretrial detention, authorities said.